This place is located in Rise - Dubai Creek Harbour, which itself is a very beautiful place that is open only on the weekends. 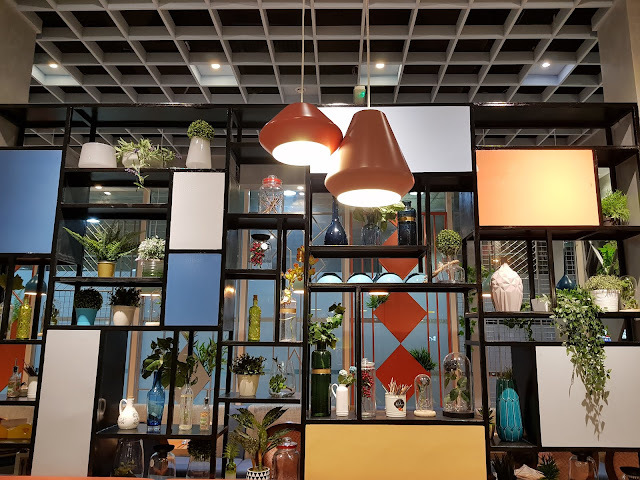 There are a lot of new restaurants popping up there, and the place is general is definitely worth a visit, especially for the views of the Dubai skyline. 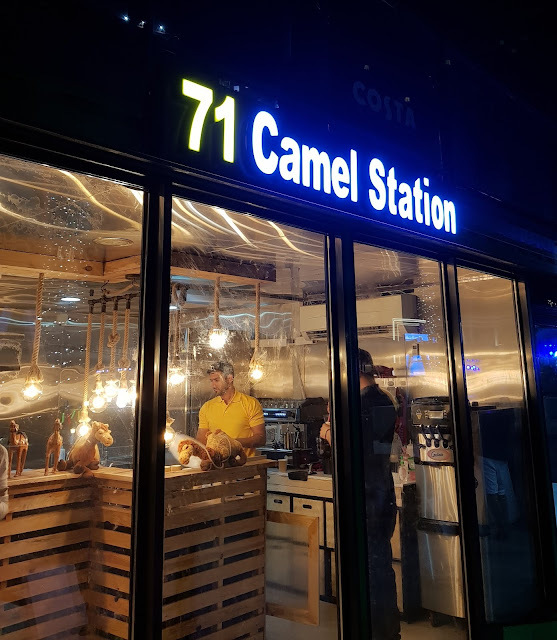 71 Camel Station is a UAE grown brand that serves just Camel meat! Isn't that amazing? I know not many people are used to having that, or perhaps haven't even tasted it. To some it may sound a bit weird, but it isn't something that would gross you out once you taste it. In fact, the camel meat patties from this place didn't taste all that different from regular beef patties. I've had camel burgers at other places too, where the tastes were more prominent. This particular outlet is small, and the seating is outside. It has cute looking toys in the shape of a camel. 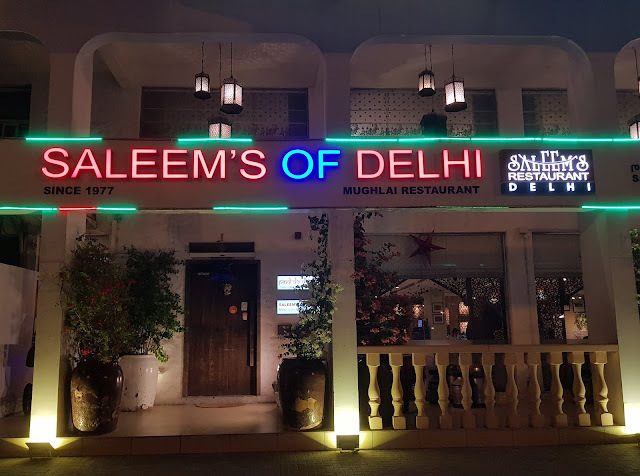 If you're looking for a typical mughlai experience that won't break your wallet, this is the place to go. As soon as you enter, you'll see the ambiance which has been designed to look like the mughal era, with posters of various kings and palaces dotting the place. They not only have some good starters, which I will cover in a bit, but also some good mocktails. We had the coco culie, which is a mango based drink. It is creamy and delicious. There was also the frozen kick, which has a hint of chili to it. Yes, there was an actual chili in it and this was something really interesting for a mocktail. Then we had the tornado twist which is a tangy one which is a treat for your taste-buds. For starters, there was the delicious murg zafrani tikka. The chicken was succulent and really flavorful. It is made in an exotic spice marinade; the flavors of which were further accentuated by the mint chutney. Who doesn't love some hot wings with a great ambiance?!! This is exactly what this place will give you...and much more. It is located in DIFC, has a sporty and casual ambiance, serves great food and drinks. I was invited to try this place out. As soon as you enter, you'll notice the screens broadcasting sports. They've got bar stools as well as regular chairs; got some foosball too. 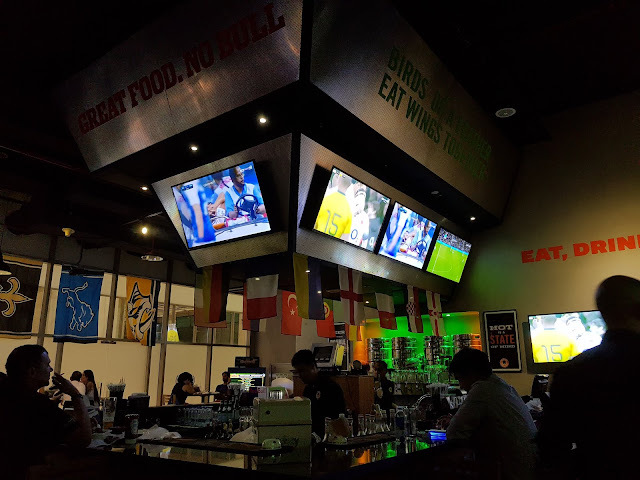 Though this place is called "Wings and Rings", they're much more than that. We started with an interesting item called the "Hand breaded Jalapeno chips". These are crumb fried jalapenos which go well with the drinks. It was something which I hadn't had before. They've got a wide range of sauces for the wings. We had the ones with buffalo sauce, and the crazy sauce which is one of their best sellers. The crazy sauce is a mix of parmesan and one of their hot sauces. The wings are served with potato of your choice - fries / wedges / curly fries, etc. 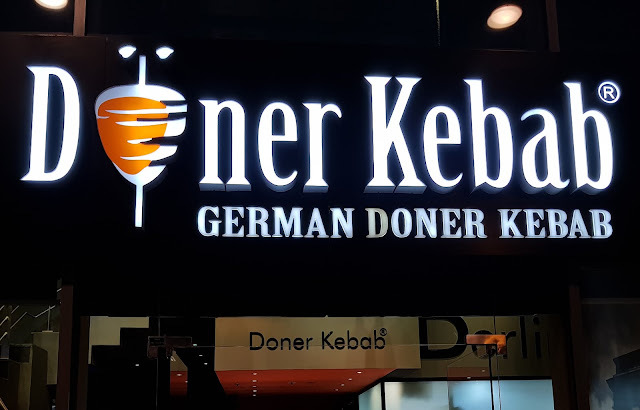 German Doner Kebab is a chain started in the 1989, and are now all over the world, with over a dozen outlets in Dubai itself. Their Doner Kebabs are freshly made, and contains virtually no preservatives. They recently have refreshed their prices, with the current ones being lower by about 15% than earlier. They invited me to try out their delicious doner kebabs. Their doners are available in the traditional "doner kebab" bread, as a wrap, in a burger bun, and even in a box. I started with the doner in a box. I asked for a salad and fries along with it. I found it a bit weird that in the box they just put the salad on top of the doner, and on that were the fries. So to reach my doner, I had to first have my fries and the salad. Anyway, the taste of the doner kebab was really very good. Since it was not inside a bread, I could get the pure taste of the doner kebab. It was meaty with an intermittent crunch to it. 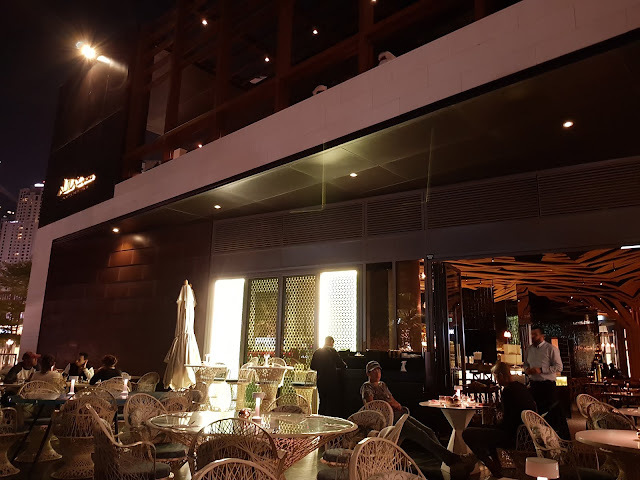 Almaz is a Moroccan and Lebanese restaurant located in the JBR Walk; it looks classy and since it is located a tad bit higher compared to the other restaurants,you get a good view of the beach. This also makes for a good place to enjoy the winters while dining. I noticed that a few of the waiters were wearing the traditional Moroccan attire and it looked really nice. Before we placed our order, they got us a good selection of breads in an artistic basket, along with pickled olives. The breads were nice and different than what are served elsewhere. We started with some hummus, and a falafel platter. The hummus had a good consistency and tasted nice. The falafel were Moroccan style, which is a bit different to taste than Arabic ones. They were crunchy nonetheless, and we really liked 'em. They've got a good selection of drinks. We had a pink champagne (non-alcoholic) which was served in a very nice glass. It tasted really good as well. Riso has just opened in November 2017, and I got a chance to try out this Pure Vegetarian Italian restaurant. The interiors are colorful with bright blue, orange etc. for the furniture, and they've made it decorative with various kinds of flower pots. We started with a mushroom cappuccino. Yes, you read that right. This is basically a mushroom soup, served in a mug with some froth on top. The froth tastes really milky just like it would in a cappuccino, and the soup below the froth tasted really authentic. I definitely recommend this. The other soup was "zuppa de pomodoro"; this is tomato soup with crunchy croutons. This also tasted really good. Then came this mushroom starter (I sadly forgot the name). It is served with bread, and tasted nice initially, but after a few bites, it was just about okay.